I belong to a generation that watches news, different events and plain entertainment on Internet rather on a TV. I’m used to the idea that most of the action can be watched LIVE online. Here I made my personal Top 5 chart of the online racing streams I follow. This one is probably my favourite, even though I can’t check it live. Event is usually uploaded on the next day. The fact that it’s not live actually makes it even better, I’m able to fast-forward the slow parts: pre-staging, interviews, etc. American drag racing is very democratic, I believe it’s the only motorsport where men and women are competing on the same level in every class: Top Fuels, Funny Cars, Pro Stock (are the main ones). As you can check from the taster, it’s also a series that is overloaded with flaming action. It seems that right people are behind the production of World Rally Cross Championship, this sport has excelled to a very popular level in just few years. Every event can be checked live on the official LIVE stream and as with the NHRA Drag Racing, WRX also manages to put loads of action into every minute. Racing is split into short 5-10 minutes sprints (Heats officially) and the leaderboard is constantly changing due to circumstances. I’m following DTM racing from the times Opel Calibra and Audi TT were participating. All together series was launched in 1984. Simply it’s my favourite touring motorsport series and circuit race in general. 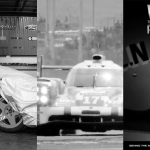 Racing offers lot’s of strategies from the teams, close battles, and well, top brands competing for the glory. Recent comeback of BMW gave a new life to the sport. From 2015 DTM moved to the two-race format and for the first time a live stream is available for every qualification and race. And of course, those awesome two seconds pit-stops. Drifting is another motorsport that propelled itself to world class arena in just few years time. 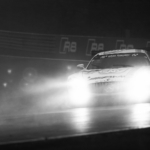 It’s the most variable racing series in the world, with almost any type of car competing. 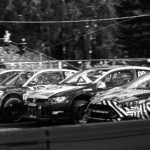 America’s Formula Drift is considered to be the main priority for a professional drifter, but right now a world championship is in development: combination of events in US and Asia. For me personally there’s only one drawback with their live stream, it’s too late in the night for an European to enjoy it. Rally is another sport that I love from early childhood. Estonia was always producing great rally talent, so sport was highly advertised and showcased on TV. My teenage years were passing where Estonia’s very own Markko Märtin was battling the top players of the sport and was a true competitor for the trophy. By far it’s the hardest and most precise motorsport on the planet. My love for rallying stayed with me ever since. 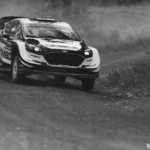 Although WRC doesn’t offer free live stream, I love to listen to their live radio during the events, while checking the splits on every stage. Their stage-end reporter Colin Clark is a broadcasting hero of mine.